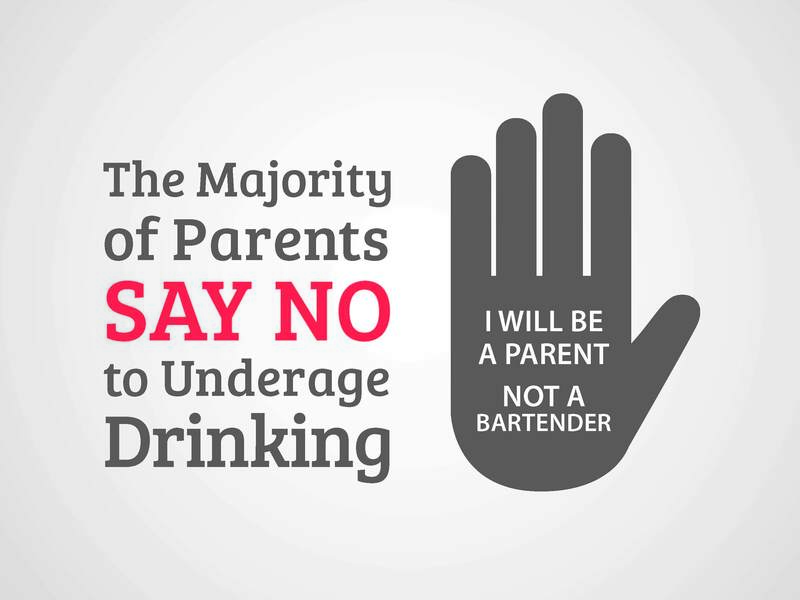 The Milford Prevention Council (MPC) is a nonprofit organization in Milford, Connecticut committed to reducing drinking and substance use among young people. 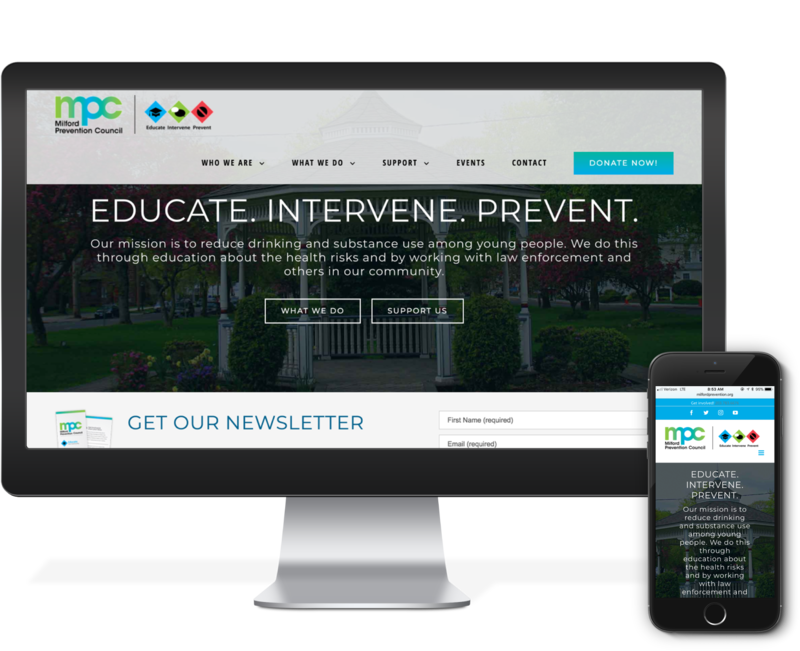 MPC’s goal was to build a distinctive brand and build a thriving online and offline community to help stop youth substance use before it starts. MPC’s target audience was high-school age students, their peers, and their families. We were competing with busy school days, afterschool sports and extracurriculars, and countless other brands and companies seeking to capture youth attention. Red Rock’s challenge was to come up with a fresh and engaging balance of social media messaging, local business partnerships, and fun community events our target market couldn’t ignore. Red Rock took a multi-faceted approach to changing the conversation around youth drug use in and around Milford.  We began by launching an instantly recognizable brand and tagline and infusing MPC’s online communities with meaningful content and reputable articles. 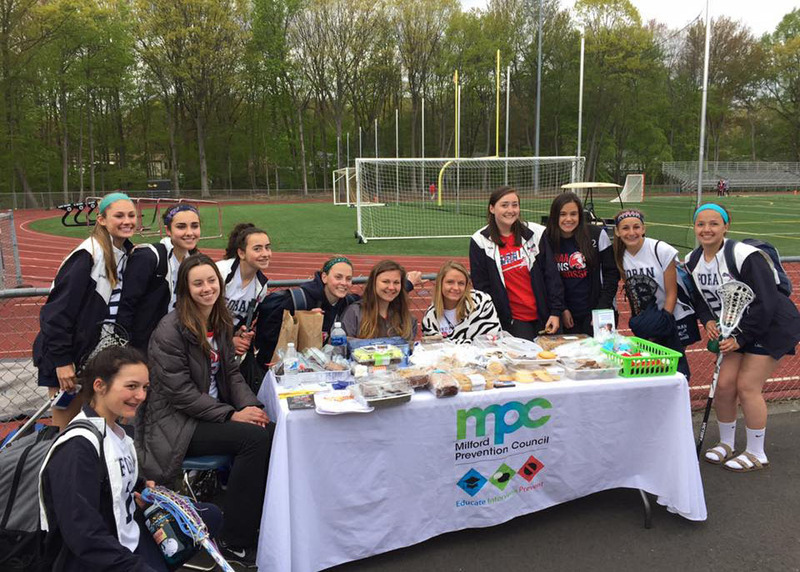 Red Rock also built thriving partnerships between MPC, local businesses, and community events to amplify the drug use prevention message on a grassroots level. Red Rock created MPC’s first website with clarity in mind: simple, concise messaging and sharp design. MPC’s community events and an invitation to support and connect with the organization were front and center. Red Rock saw great opportunity for MPC in Milford’s high concentration of billboard sites. We negotiated a bulk discount rate with the vendor and developed a promotional package allowing local small businesses to co-brand with MPC at a reduced rate. This allowed companies access to billboard media they could not otherwise afford and positioned them as thought leaders and vocal MPC supporters. 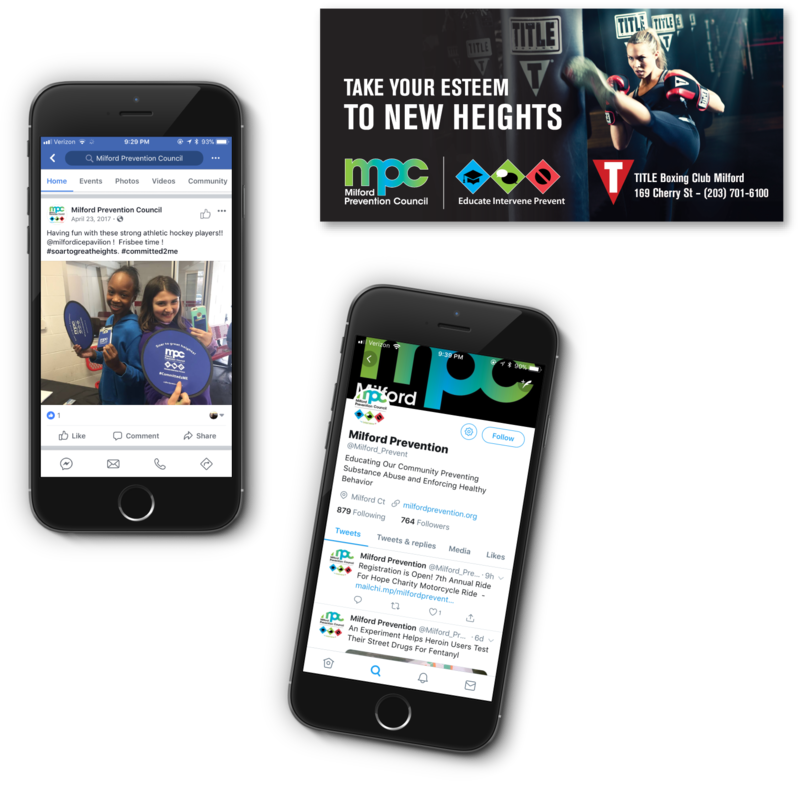 Red Rock built all of MPC’s social media infrastructure, and youth-centered, family-focused content was broadcasted across Facebook, Instagram, and YouTube. 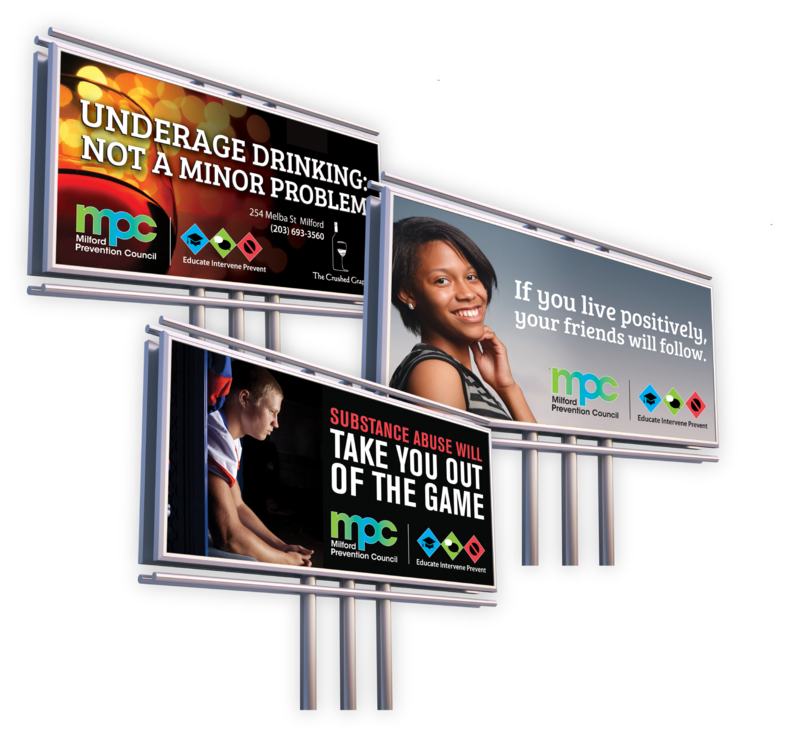 Compelling images from our billboard campaigns repurposed online, and we were able to expand MPC’s social reach by tagging our co-sponsor brands. MPC its partners saw exponential exposure and community recognition. MPC’s Superhero Fun Run become a huge family event. 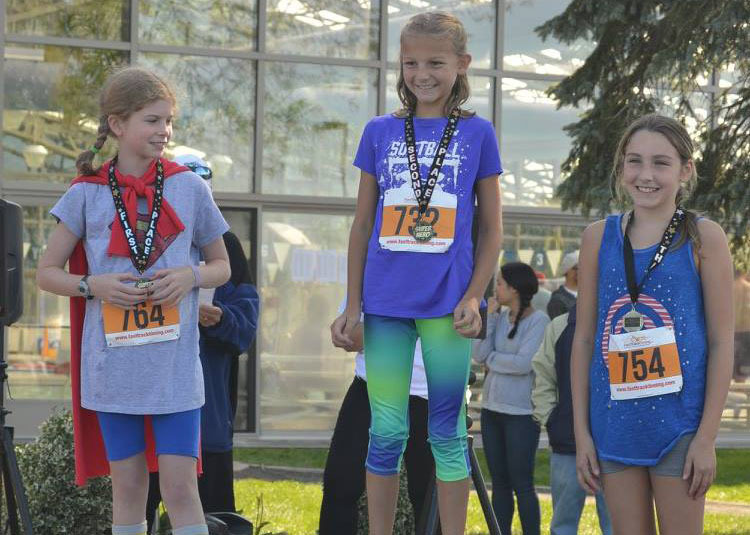 Under the youth-minded slogan of “Creating Tomorrow’s Superheros,” the fun run invited participants to dress up, navigate obstacles along the course, and participate in a health-driven and empowering community event. Red Rock supported with print and digital messaging and event attendance, bringing a big boost to run enrollment and community buzz over the event. Chris Herren’s speaking engagement was another powerful event, hosted for free by MPC. Chris, a former basketball star, shared his struggle with heroin addiction to a packed auditorium. 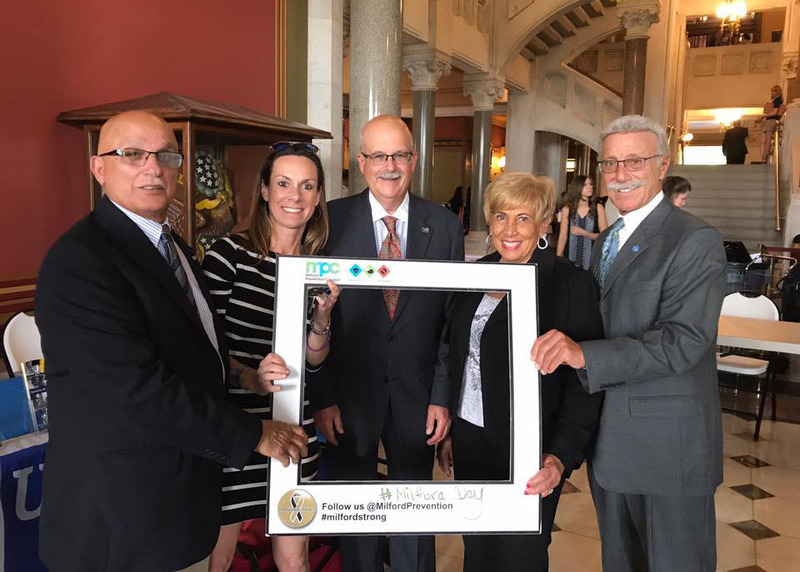 His dedication to recovery and fighting the stigma of drug addiction made for an inspiring night in the Milford community and a key highlight in Red Rock’s work with MPC.